The Weather Company® Operations Dashboard for Ground Transportation explains relevant impacts to the safety of personnel and facility operations. This software combines and displays all relevant weather, traffic and safety information in a single, simple UI, including configurable alerts to give decision-makers time to make alternative plans. This software covers both current and upcoming locations based on the driver’s trajectory. The driver can check forecast, current weather and traffic conditions while planning the day’s travel and during breaks. 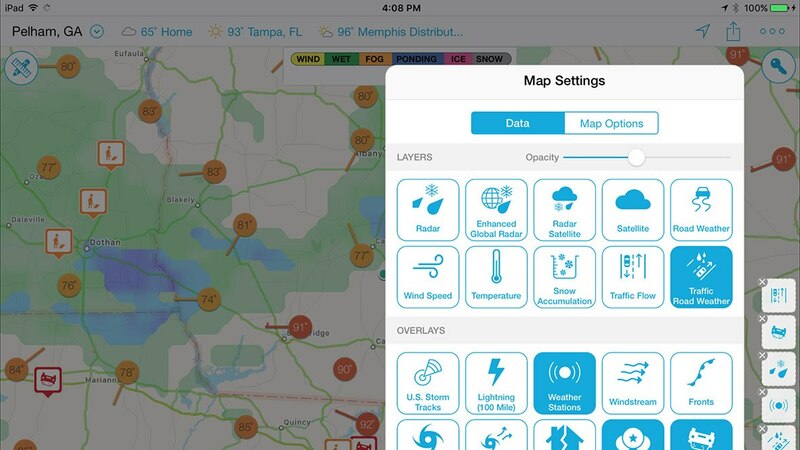 The Weather Company Operations Dashboard for Ground Transportation features third-party validated weather accuracy leadership and precision, including traffic data down to 250-mile road segment resolution covering nearly 5,000,000 miles (8,000,000 kilometers) of road in 45 countries.